For use in telecom, electrical, wall and floor conduit, walker duct and utility installations. Fiberglass non-conductive, rust and corrosion resistant, superior pulling strength. Welded by high-quality steel, sturdy and durable, with good compression resistance capacity and proper structure, is able to keep its shape under the pressure of 10KN. 1. 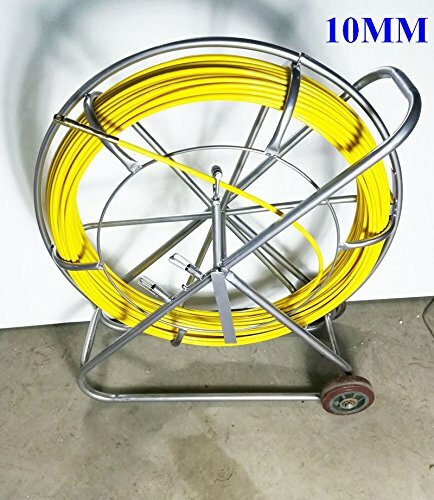 First of all, the glass rod is made of steel coated lead wheel leads, and then the corresponding metal joint, through the pipeline. 2. When used to clean up the head to drive the cleaning tool, you can clean up the pipeline. 3. When the cable is used, the wire or wire can be brought into the wire, and then wire or cable is used to pull the cable into the pipe. Add the steel wire in the fiberglass to improve the tensile strength and strong bending property. If you have any questions about this product by Techtongda Fishtape, contact us by completing and submitting the form below. If you are looking for a specif part number, please include it with your message.